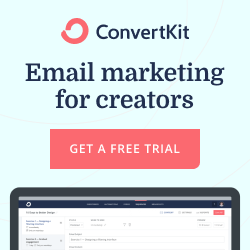 Is not having a clue about what to send your email list putting you off starting one? The thing is that the main purpose of an email list is to make money for your business. Whether it makes you money straight away or you prefer to focus on creating a relationships with your community first is for you to decide. But it your list is where you're going to find your fans, your customers and clients, so you should treat it as one of your best assets. So you need to start one now. And, if you do have one and have been neglecting your subscribers, you need to start sending them emails before they forget who you are. Here are some ideas for you to start nurturing your list and always have something to send them. Before we look at what to send to your subscribers, bear in mind that the content you send to your subscribers should have value. There should be something there that helps them learn something, a solution to one of their problems, something that will keep them reading your emails. Even when you are selling stuff, add something of value to your emails or make them entertaining. And ALL your emails should have a goal or a purpose. It doesn't matter if the goal is something as simple as getting people to read a blog post, download a file, fill in a survey, or something intangible like building trust or a commercial purpose like booking a consultation or buying something. Now, let's have a look at what type of things you can send them. I don't send every new blog post to my list, but many people do. It's up to you whether you send ALL your blog posts to your list, the most popular ones or a series of blog posts in your emails. 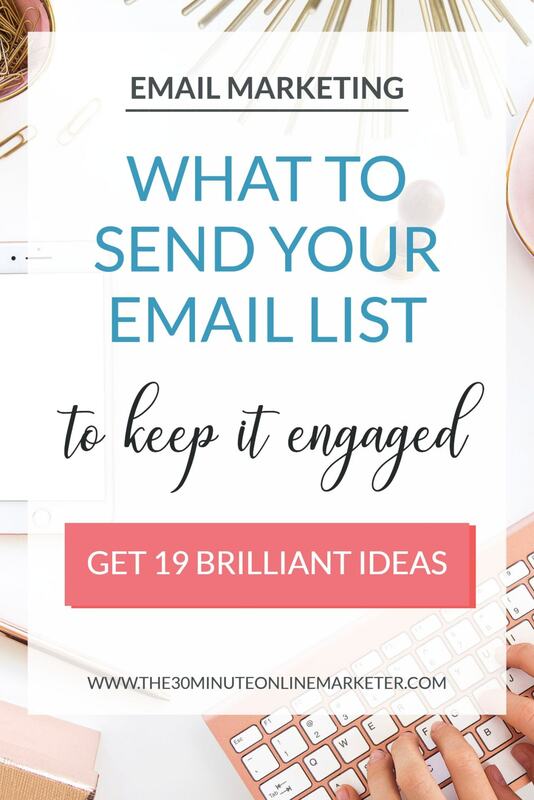 Or, if you have segmented your list, you can send them emails only about the things they're interested in, so you don't overwhelm them. People like freebies, they've already signed up to your emails because you gave them something for free. If you have some new freebie, why don't you send it to them as well? You can also create a resource library and let them know when there's any new stuff. Tip: Once you have enough freebies to grow your list on autopilot, you have to create paid products. You have to start selling or they'll get used to getting stuff for free and be very reluctant to paying for things you do. 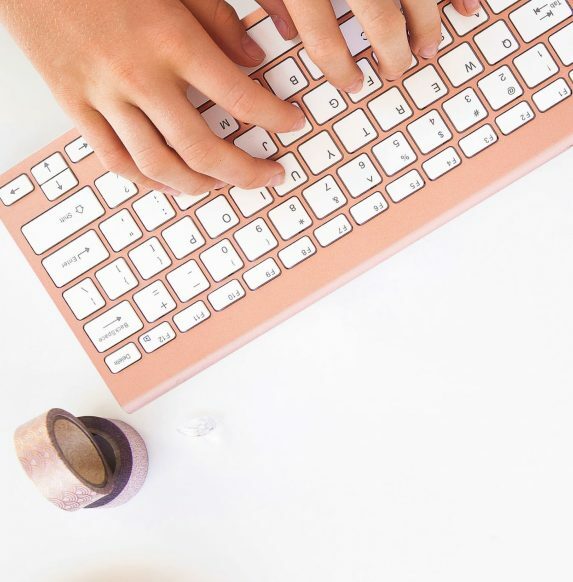 You don't always have to give tips in blog posts, you could create a series of emails to give a weekly tips or put them all together in one larger email. Sometimes, you can teach somebody how to do something simple in an email. You can use these as a series of emails that you can later turn into a bigger blog post or just use them as part of your autoresponder series. A case study of work you did for a client, some testimonials or even FAQ about what you do. Or when you have a blog post that converts well (for affiliate marketing or sales of products) and you want to make sure it circulates through your list again. Anecdotes and experiences that are related to your niche, so your list gets to know you as a person, not just as an email address. Depending on the niche you can be more or less "personal" but these type of emails are good for creating a connection with your readers. How often you do this depends on how big your list is and what you do, and whether you offer services or products. But one of the things to do with your email list is to schedule your sales campaigns so you're always selling something every month. You don't want to be relying on a small sales funnels when people first come in the list and then you don't sell them anything else again until you have a massive sales campaign. Cos big sales campaigns can leave you exhausted and might be a pain in the neck for your subscribers. Get some tips guaranteed to make you more money with your sales campaigns here. 24 ideas that work in any niche. Get these easy and fast to create freebie ideas and start growing your email list! By submitting this form you agree to receive emails from The 30 Minute Online Marketer. If you don't like it you can unsubscribe at any time. 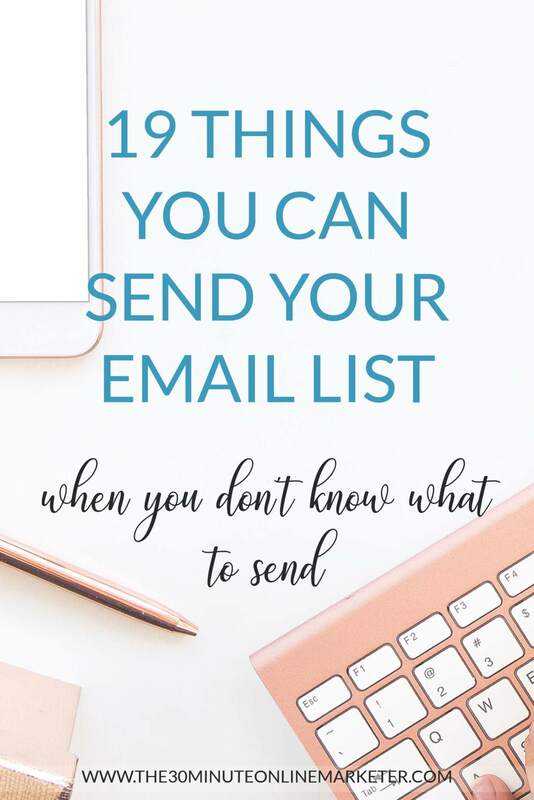 If you do a launch and you use a series of emails, anything from 2-3 to 8-10 emails, make them fit with what you already have in your calendar so you don't overload your subscribers. Some trending news happening that will impact your industry. Feel free to add your opinion or your advice. For example, as I am writing this blog post, the UE has passed Article 13 which affects copyright. So, if I wanted to, I could be writing an email about it and telling my community what it means for them and how they use social media. If you really want to know what your audience wants, ask them. It's OK to do this as part of your welcome sequence or during the year. Surveys go into more detail, so you can use these to develop new products and services, for example you can ask what new products they'd be interested in, how much they'd pay, why they didn't buy your last product, etc. Challenges can be engaging for your subscribers because they get to take a small action every day and, hopefully, they get to see the results quickly. You can also use challenges so your subscribers post the results online and you get more social media exposure. People love lists and again you don't have to put together a blog post to do it. A list of resources is also easy for you to redo as a blog post and expand on it, but it gets you something to send your list quickly. It's great if you can include photos or videos in this type of emails. And it's also good for you to show your "vulnerable" side. 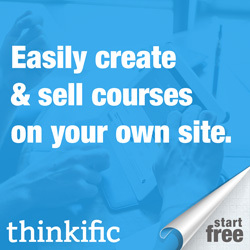 Found something that you think is awesome in your niche? Then why not send it to your list as well? You should already be planning your content according to the seasons so you can promote the right type of posts and products at the right time. 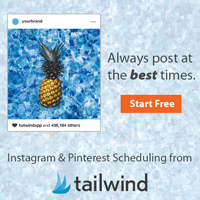 Even more so if you use Pinterest for your marketing. But this also applies to your email list. Don't forget to send emails for relevant occasions, events and dates to your list. And integrate your sales campaigns with them. Use your milestone emails to tell your audience what you have achieved and what you have learnt since you started, or what mistakes you made. Some people send traffic or income reports as part of their milestone emails. It works for some niches but not others. So think about what milestones and goals you are working to wards and let your email list when you do. 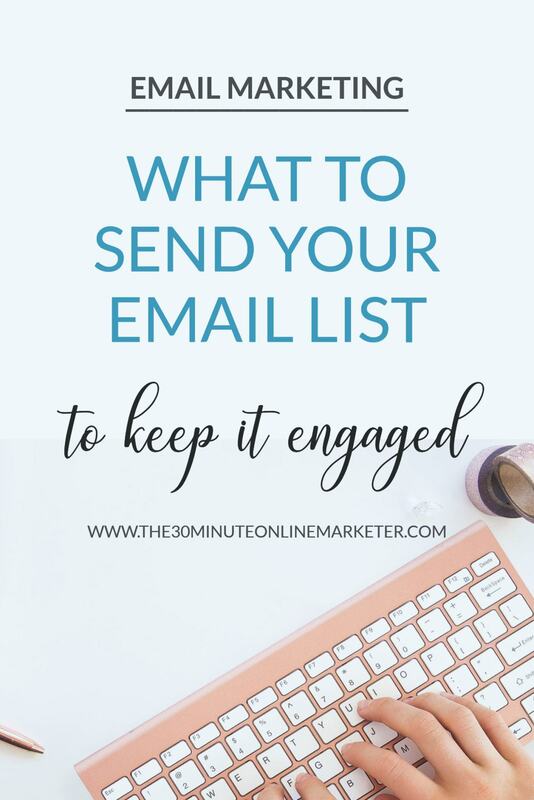 Hope you found these useful and it's given you a little push to start an email list or reengage with that dormant one you've been ignoring for so long.